My current internship rotation is a pretty big departure from the last one. It’s outpatient nutrition counseling at a community health center with multiple locations around the city; I’m splitting my time between Harlem, Chelsea, and the Bronx. The work is nearly all diabetes management, with some weight management and general nutrition guidance thrown in. The work often feels repetitive, and in some ways I miss the intensity and variety of intellectual challenges that I had working in the hospital this fall. But this rotation brings me back to counseling, which is my passion; it’s the very thing that made me pursue the RDN in the first place. Nutrition counseling is a funny thing. In some ways, it underscores how incredibly different each person’s food story is. It definitely affirms the fact that there’s no “right” eating style or nutrition formula for everyone; in many years of working one-on-one with people, I’ve yet to see an approach that didn’t have to be tailored sensitively to the individual. Yet at the same time, I’m continually struck by how much shared terrain there is in peoples’ experiences with food. The internship year has given me an opportunity to work with new, and extremely diverse, populations of patients. In spite of how many cultures, ages, lifestyles, and stories I’ve crossed paths with, so much of what I hear echoes what I’ve heard from clients in my own practice for years. Every patient finds a way to communicate to me a fundamental desire to preserve good health. Most people say that they know how they “should” be eating, but that everyday life often vies with their intentions. Nearly everyone feels a little better when they move and eat vegetables. And then there are the shared struggles. In nearly every nutrition counseling environment I’ve worked in, I’ve heard people admit to deep shame surrounding how and what they eat. People spend a lot of time apologizing, for the food choices they’ve made, for the things they crave, and especially for their bodies. Too big, too slow, too weak, too small—I hear so many apologies for shape, size and ability. Many people carry around good/bad binaries surrounding food; oftentimes, their conceptions were shaped very early in life, by caretakers or peers and the way their appetites were criticized. I’m both heartened by how much we share in our experience of food and saddened by how universal these issues of shame, regret, and struggle are. I feel sorry that eating is so often complicated, be it for practical, socioeconomic, or psychosocial reasons. What motivates me in the work is the fact that, at least once in each counseling session, I see a patient or client’s face light up in describing something positive about eating. It might be a memory of something delicious, the happy surprise of discovering that a healthful food is much tastier than was assumed, the pride and reward people feel when dietary changes lead to health improvement, or the relief they express when their experiences are acknowledged and validated. In any of these cases, I feel deeply lucky to be present and to bear witness. This rotation is reminding me of how difficult and tricky nutrition counseling can be, but it’s also giving me daily reminders of why I love to do it. And it’s making me excited for next fall, when I’ll be doing it on my own again. I’ll be taking my meals with a sense of appreciation for our shared experiences with food this week. Wishing you some good eats. Here are my recipe picks and reading links! 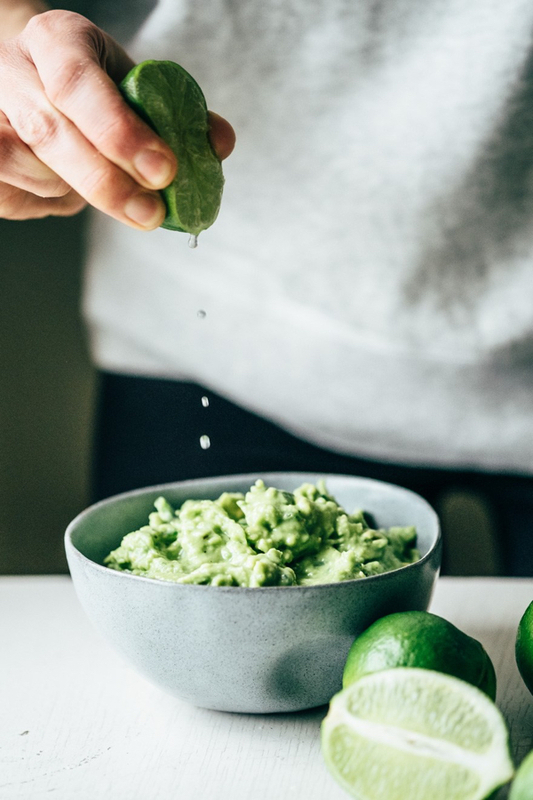 Green apple in guacamole! I’d never have thought of this, but I love the idea. 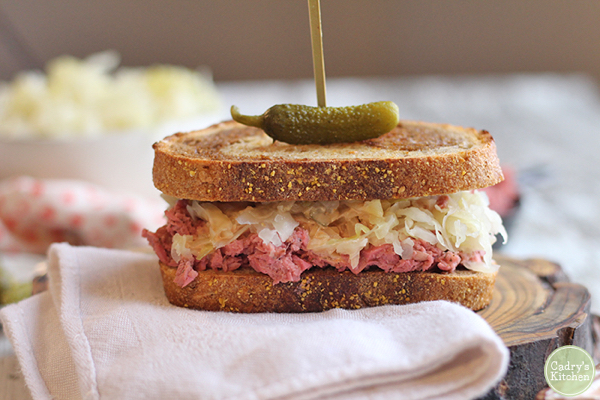 Pretty much drooling over Cadry’s vegan reuben. It looks so authentic, right down to the marble rye! If I didn’t already love falafel enough, here’s a version that’s stuffed with vegan feta (made with Violife cheese, which is pretty great). 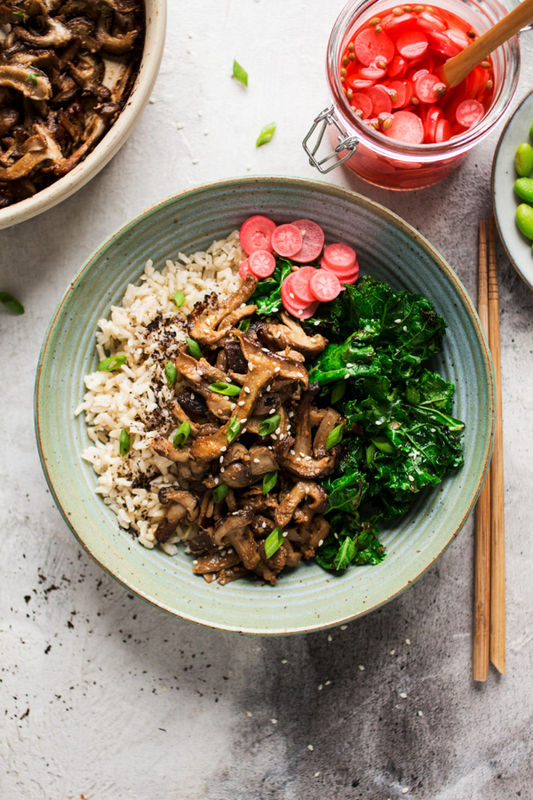 An umami-packed vegan miso mushroom bowl from the talented Ania. 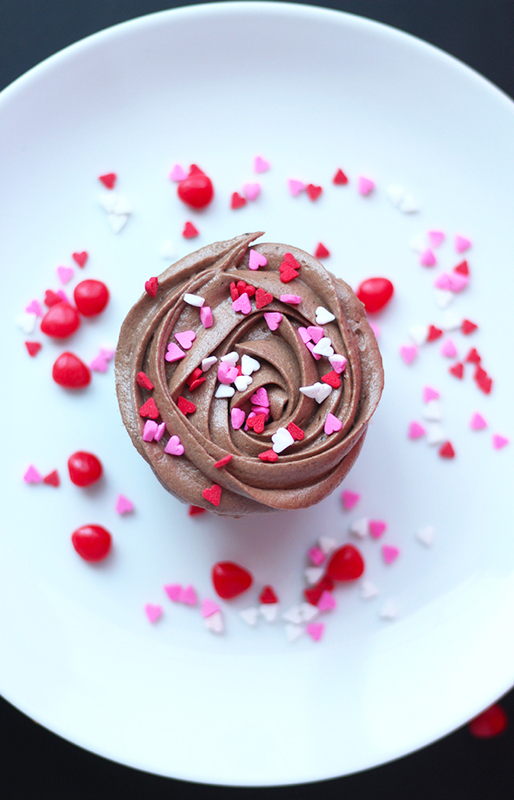 Finally, and just in time for Valentine’s Day, the prettiest vegan chocolate cupcakes. 1. New research suggests that vegetarian diets might boost insulin sensitivity. 2. A really interesting article on the science that underlies loneliness. It’s a topic that hits close to home for me, and I like the author’s suggestion that loneliness is part of life, but that there are ways we can choose not to be crippled by it. 3. A very interesting new study points to links between metabolic factors and the risk of developing eating disorders. This is news to me, but I was interested to read that prolonged low body weight/BMI in childhood may be linked to higher rates of anorexia nervosa. I’d be curious to see more research on this, but the findings definitely help to explain why and how EDs can develop very early in life (before social pressures to diet would be prevalent). 5. Perhaps I’m biased—rutabaga is one of my favorite vegetables—but I loved Alicia Kennedy’s tribute to the humble root (and the recipe that accompanies it). Most of my breakfasts this winter have been in the form of baked oats, which I prep over the weekend and enjoy with fresh fruit and/or nut butter before leaving for work. This week, though, I’m returning to my savory breakfast roots with the leftovers of a favorite tofu scallion scramble. I’m sharing the recipe (long overdue!) in a couple days. Till then, be well. 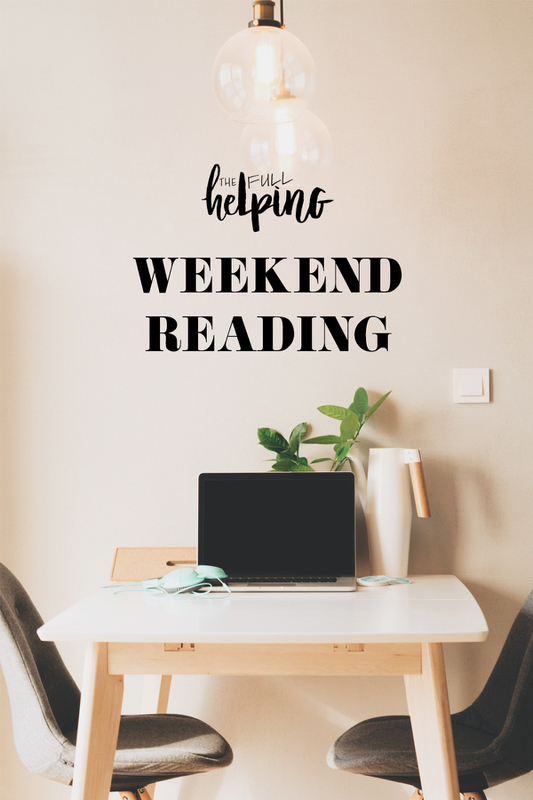 Hi Gena- just have to tell you how much I look forward to your weekend posts-just filled with fantastic recipes I can’t wait to try & other reading I have thoroughly enjoyed. 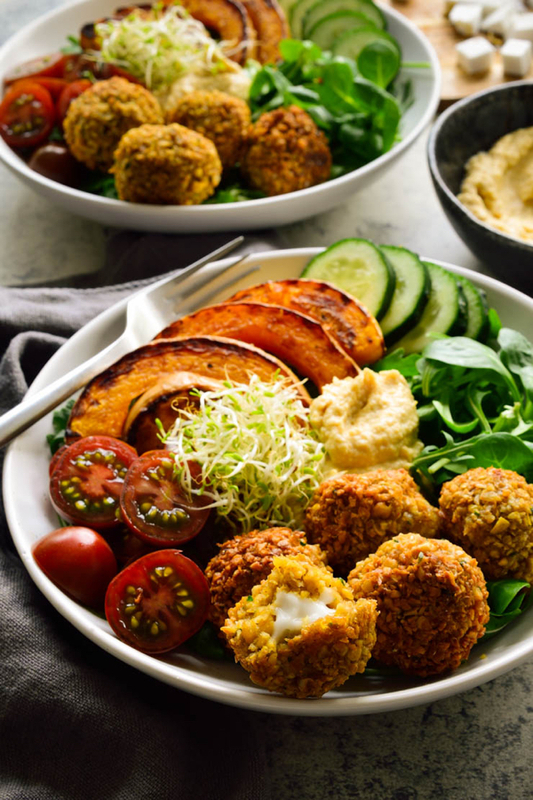 Still cooking my way through Power Plates- this week, I was all about the Tofu, Beans, Rice and Greens – it carried me through multiple lunches and dinners with some on-hand additions. Love the flexibility of this recipe. 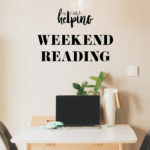 I love reading about your nutrition work, too-I help people get on the path to healthy eating & movement, and your posts are full of great information that I can use. Have a great week! I love that there is a Minister For Loneliness! (I would give him/her a hug, I think.) And I am heartened too by the idea that although being lonely is part of the human condition, there are certainly ways to deal with that state. I think a lot of things are like this and that we try to eradicate them through “work” and therapy and what not when in reality, they are just part of our existence-part of being human-and totally OK. Your statements regarding the universal difficulty surrounding food, eating and choices really hits home for me. We tend to think we are alone (there is that loneliness again!) but when we start talking to others we find that we all have the same sorts of problems, more or less. It is certainly less isolating to open up and find that your friends, neighbors and strangers feel the same way. I am so glad that your current rotation has brought you back to what you really love about nutrition counseling. And as a onus, working on the problem of diabetes is so important now. I read somewhere that 1 in 3 people have pre diabetes and most don’t know it. Very sobering. Have a good week and thank you for the post. I meant bonus, not onus! Ack!